Another year brings us another set of web design trends, and it seems like we are running in circles, trying to catch the latest innovations and stay competitive in the market. Trends are advancing, and if you want to run a successful business, then you need to accept them with an open mind. Otherwise, your company will be doomed. A functional and sophisticated website should be your digital footprint, which helps visitors decide whether you are worthy of their time, or not. So, here are some trends that will be popular in 2018 and that’ll shape the market in the following months. Basic animations are easily added to any website nowadays. But, there are some indications and movements toward more user-focused animations called micro-interactions. They originate from mobile applications, and now they are pushing their course towards the web. Micro-interactions respond to users’ behavior. For instance, when someone clicks a button or activates a drop-down, the micro-interaction responds realistically. Micro interaction has a bouncing effect, showing and hiding page elements. Every year, the designers are trying to be more creative and build more engaging designs. But, the grid has always been something they rely on to bring harmony and logic to our layouts. In this case, the broken grid doesn’t neglect the previous concept but allows images and text to float across the gutters, which usually serve as hard stops. This trend is often presented on corporate websites and sales landing pages. Badges often serve as social proof what other blogs and magazines have to say about your website. 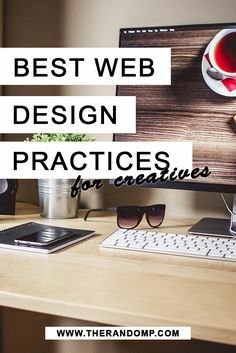 Obviously, we all want to get the best reviews and recommendations, and if you managed to build an excellent site, this shouldn’t be too challenging. By adding all the big names in online content, you are telling the visitors that you can provide distinguished service and products. Logos of large brands will help prove to people that your company is successful and that people can trust you. CSS3 can help you design some pretty crazy stuff, and modern grid layouts are more comfortable to build than ever. One of the latest trends is leading toward unique design, which involves diagonals and crooked pages. The background colors naturally fade to sides of the page, and the same can be said for icons and graphics. Another technique that seems to follow this idea is the use of hexagons and elements that are shaped diagonally. We have noticed many websites using hexagonal and honeycomb designs. 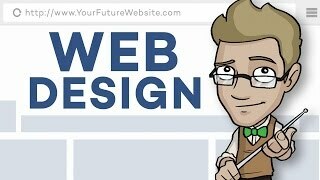 Throughout the years, we often heard web designers mentioning responsive design. Well, it’s finally here. But, this doesn’t mean your desktop will disappear. On the contrary, users will get a significant display and more room. When you are designing a website, it always better to have two options in mind, smartphone, and desktop version. But, we have seen numerous sites following the layouts wider than a usual 1440px width.